The models of earrings that involve the entire ear – called ear cuffs – are coming back with everything this season! Straight from the catwalks of major brands like Marchesa, Roberto Cavalli and Rodarte, they went to the streets and gained fans full of personality all over the world. Certain substances and fashion editorials for magazines, newspapers and blogs have also detected this new trend and highlighted the cuffs and air as the accessories of the moment! Generally these parts are used only in one ear, to not let the look overdone. 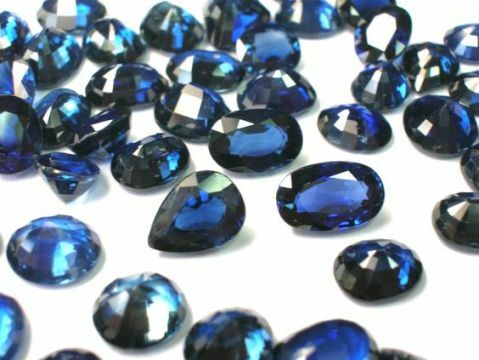 On the other hand, the earring is complemented by a delicate gem that matches the main – as a classic solitaire, for example. The cool thing is that as the ear cuff is already a powerful piece, it can safely be used as a key accessory production, dispensing necklaces, for example. In size “oversized”, these earrings have the power to add instant glamor and personality to any production, from basic used during the day, as in elaborate outfits for the evening. The H.Stern has an excellent choice of earring that has everything to do with this trend! 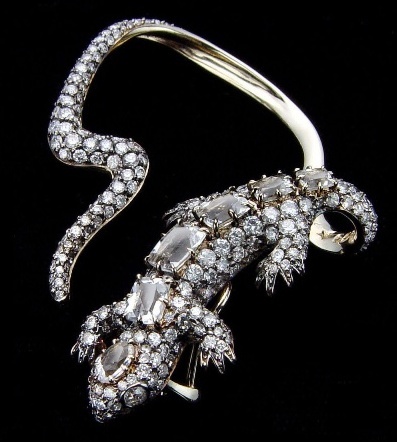 Part of the Lizard Collection, this piece is made ​​of Noble Gold, white diamonds and rock crystals and its design includes another trend, jewelry inspired by animals.